Conquerors Conference Package & Empowerment Luncheon STILL AVAILABLE! All Inclusive Package. No Refunds. Balance must be paid by 04/17/2019. 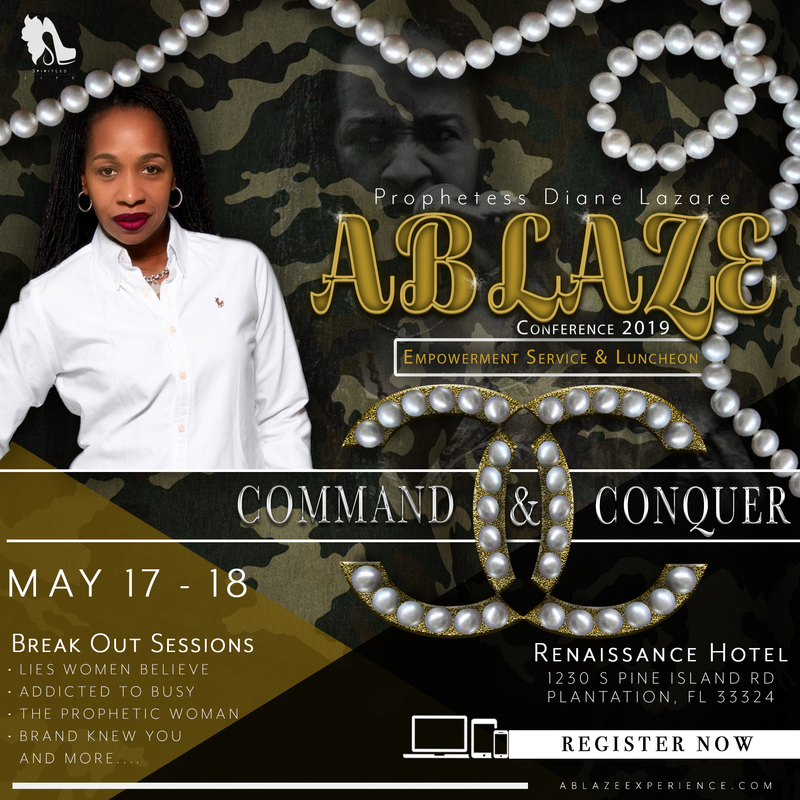 (PAYMENT PLAN) Conquerors Conference Package & Empowerment Luncheon STILL AVAILABLE! Full balance due by April 17. Denim and Pearls Empowerment Luncheon (Saturday) STILL AVAILABLE! Breakout Day Session - Women Only (Friday - Session 1) STILL AVAILABLE! Breakout Day Session - Women Only (Friday - Session 2) STILL AVAILABLE! Breakout Session - Women Only (Saturday - Session 3) STILL AVAILABLE! Friday Night Empowerment Service Only (with Guest Speaker Rev. Marissa Farrow) STILL AVAILABLE! Vendor Table (Saturday Only) STILL AVAILABLE! Vendor Space is available for Saturday May 18th Only.